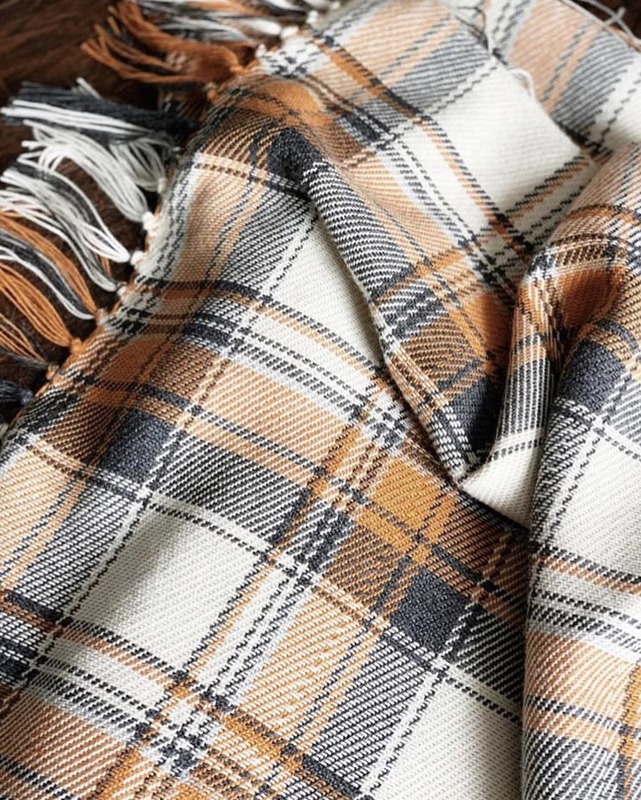 Gorgeous plaid fabric by Chelsay Russell of Little Weave Bird. 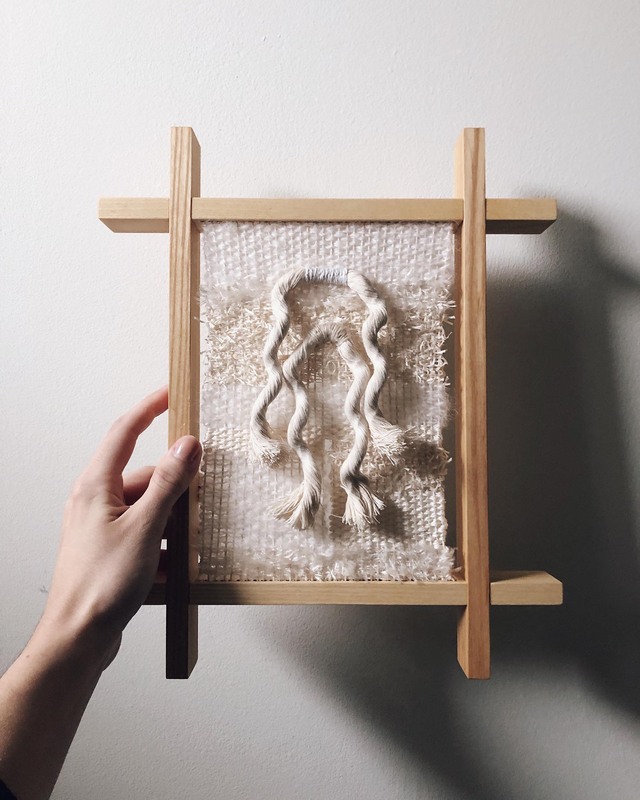 A Frame/Loom weaving by Rachel Snack of Weaver House. 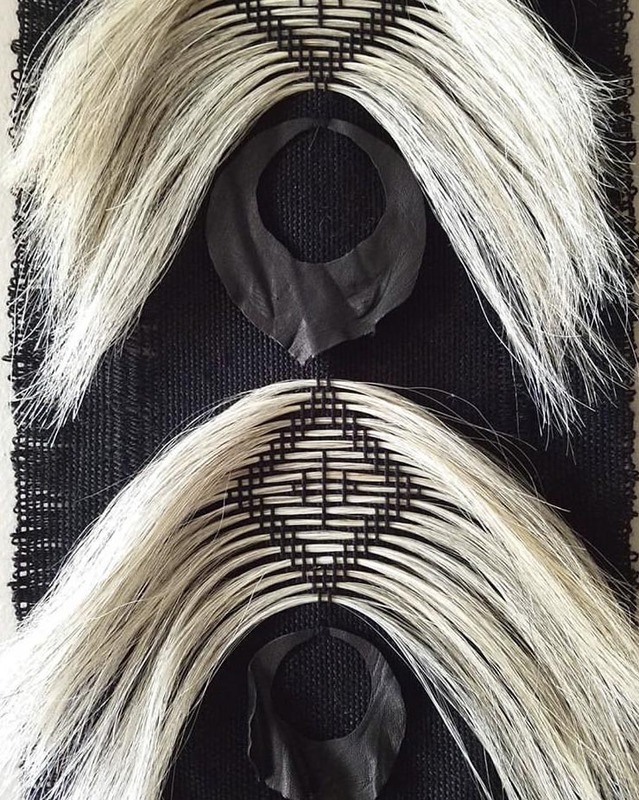 Nuno Kai weaving with texture and color. 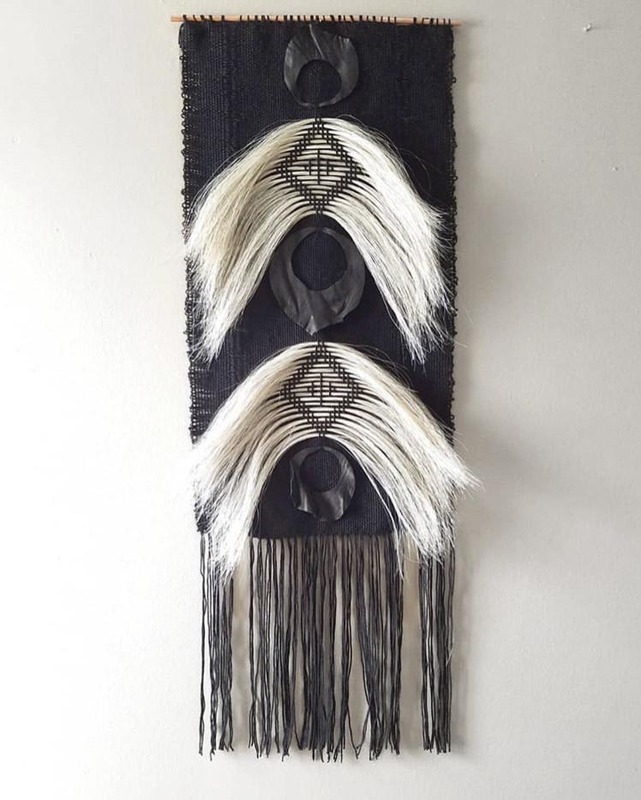 Intricate wall hanging by Asmaa Aman-Tran of Hand and Fiber. 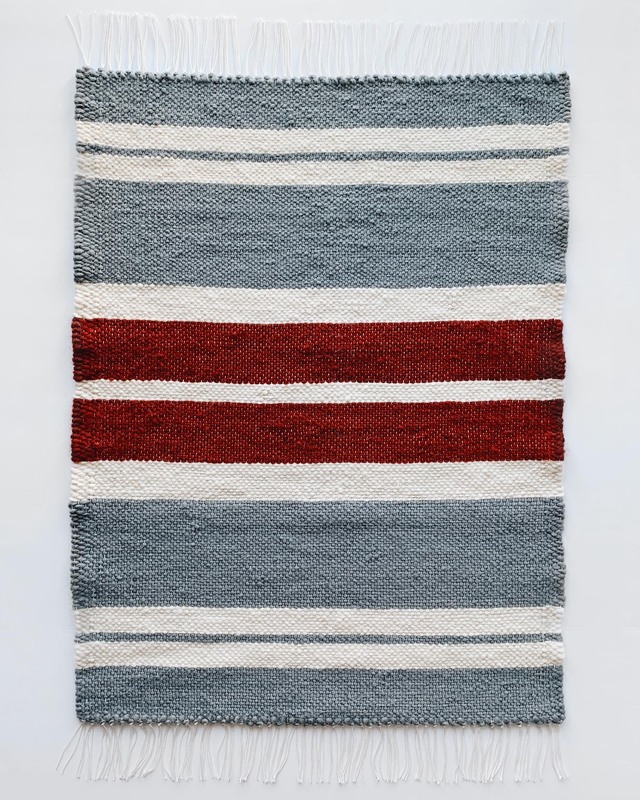 Striped wool rug by Bailee Humphrey of Less Traveled Co.
Wall hangings by Jessica Zoerb of Zoerb Fiber Co. 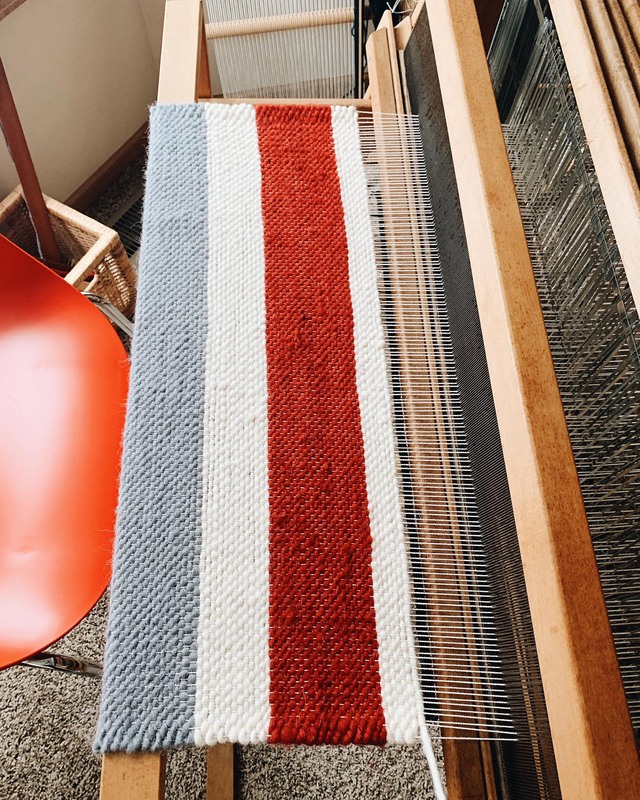 This wool yarn is handspun in small quantities by a worker's cooperative in Morocco, the Atlas Wool Supply Co., and then hand-dyed in dynamic and unusual colors. 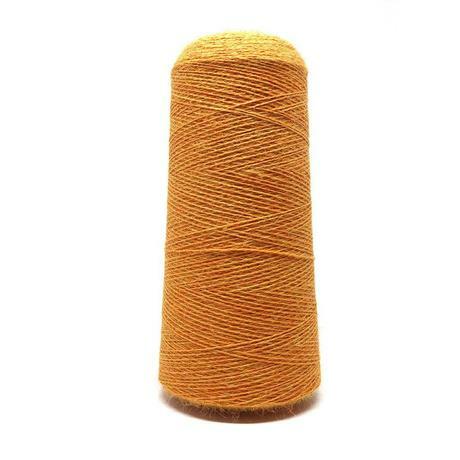 These skeins are approximately 3.3 ounces and have about 45 yards. 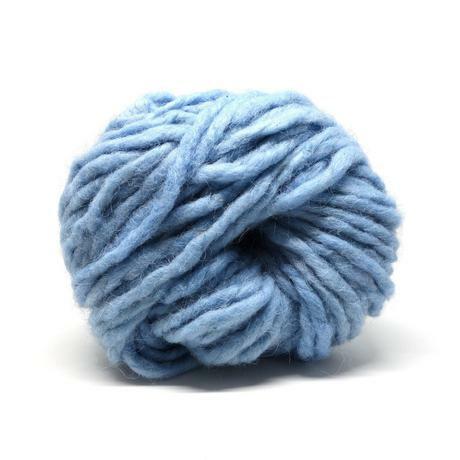 Expect a thick, handspun, rustic yarn. 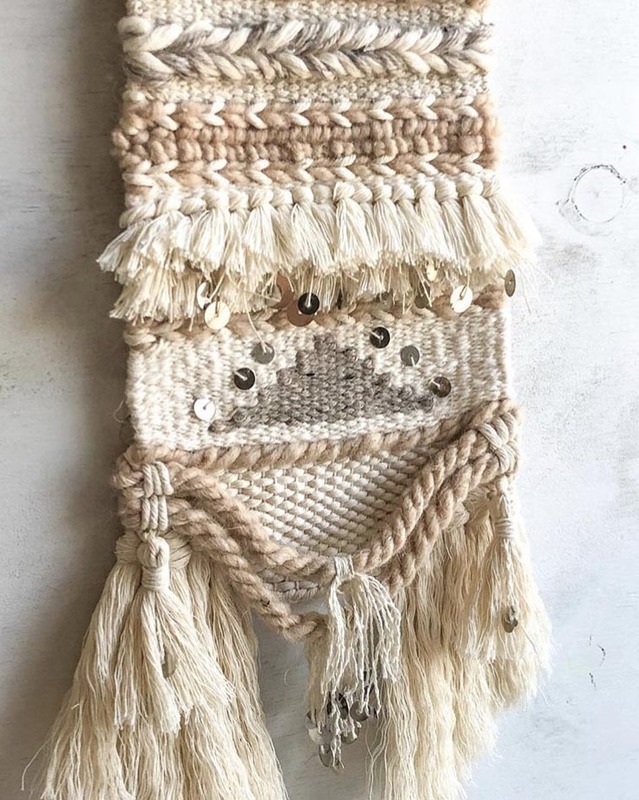 Whatever you create will have a piece of the heart and soul of the Moroccan artisans who created the yarn. 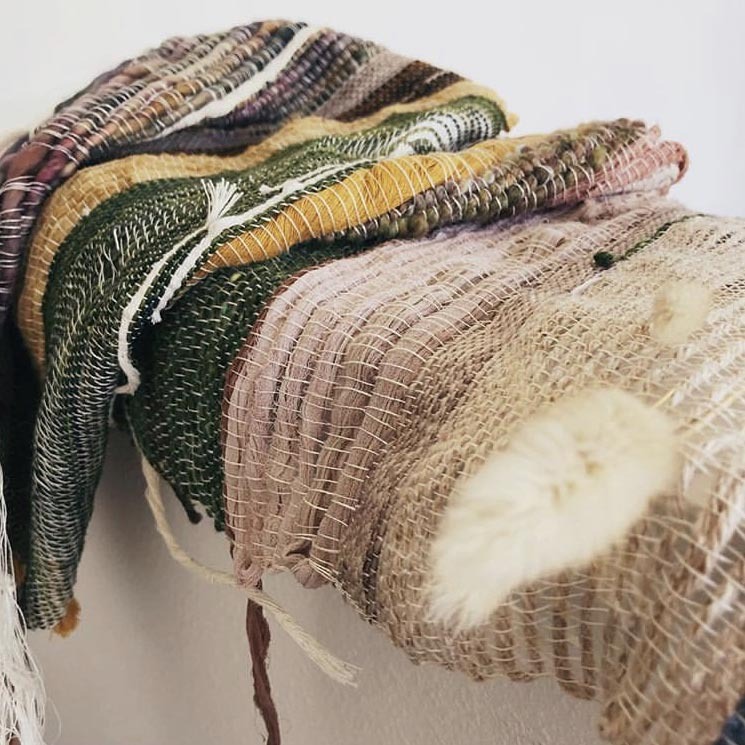 This wool is grown on a single ranch in the wide open spaces of northern Wyoming, and spun into yarn at a woman-owned fiber mill committed to revitalizing the American wool industry through eco-friendly operations and fair prices for ranches. 1,480 yards per pound, 12 wraps per inch, recommended sett of 6 - 8 epi. 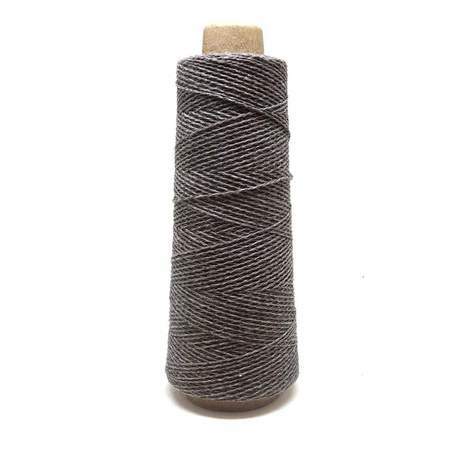 Comes on 4 oz cones (370 yards). 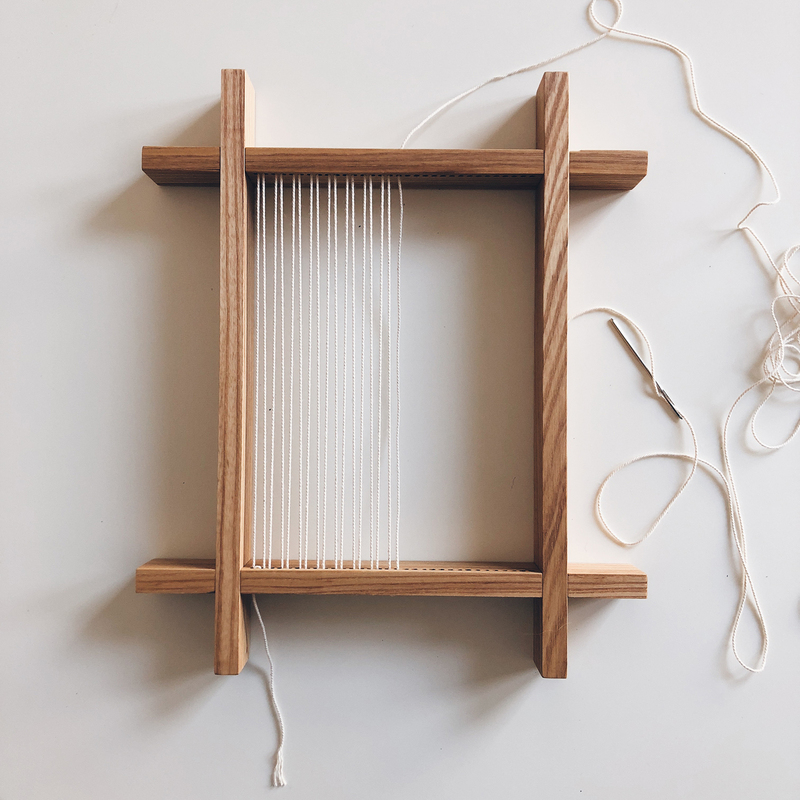 This re-imagined little loom designed by Emma Rhodes elegantly frames your weaving. 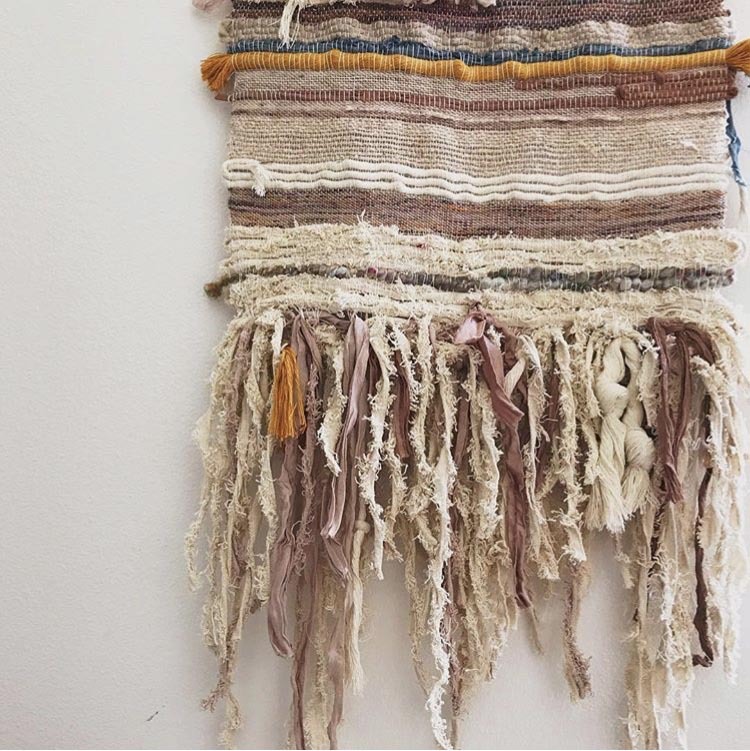 Thread the warp yarn through the top and bottom cross beams and weave an original tapestry to display in your home. 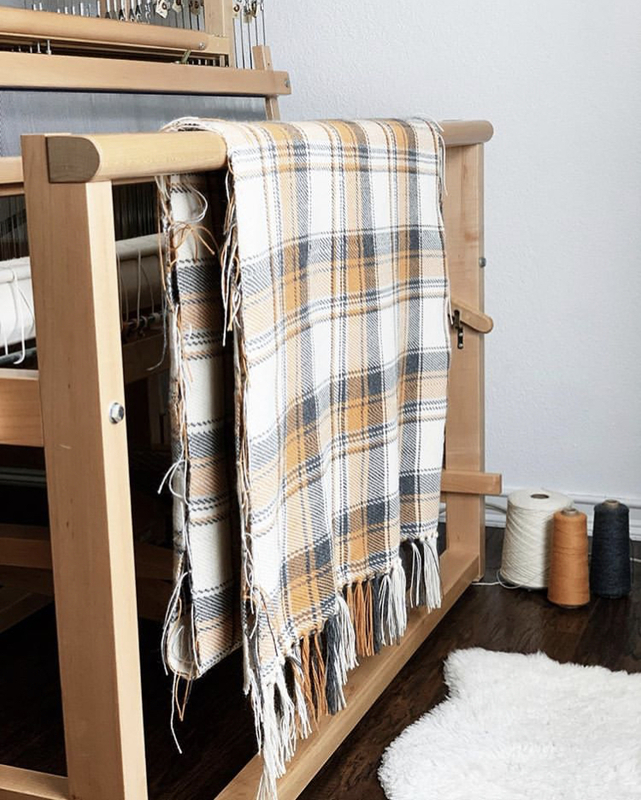 Hang the loom on your wall by resting it on a nail (like hanging a picture frame) or place it on a shelf—it is freestanding! 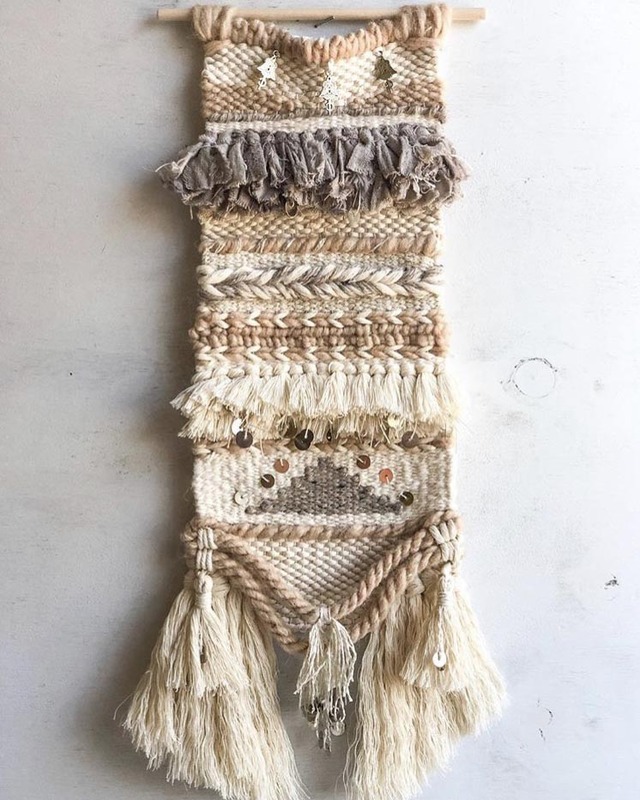 Includes 10 yards of 100% Cotton Seine Twine Warp Yarn, a tapestry needle for threading the warp, and two weaving needles. Handmade in Providence in small batches. 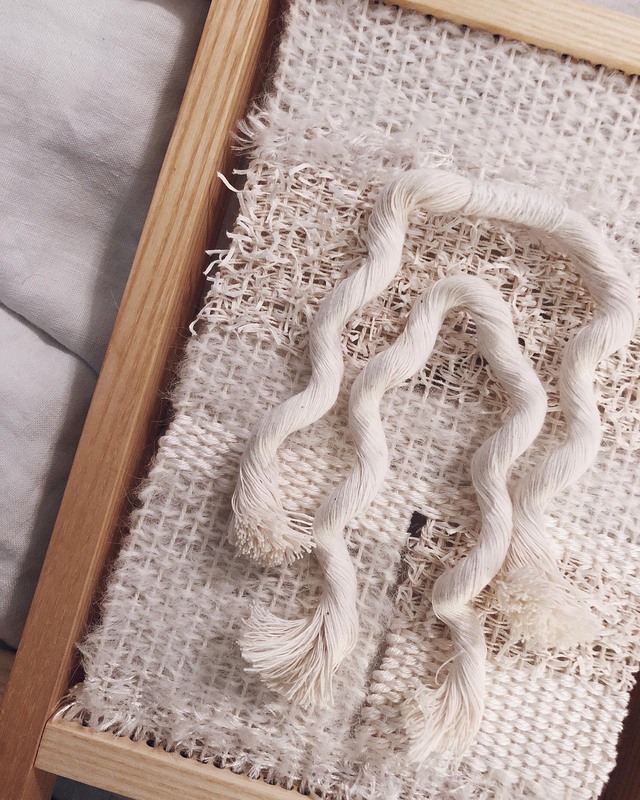 Each loom is one-of-a-kind and the wood tone may vary.